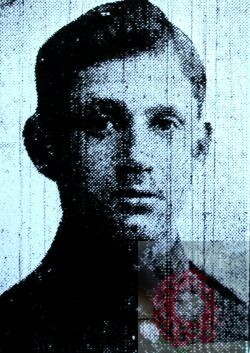 Died: 3rd October 1915; KiA. Residence: 39, Belstead Road, Ipswich. Date of Entry Therein: 22nd June 1915 – France. 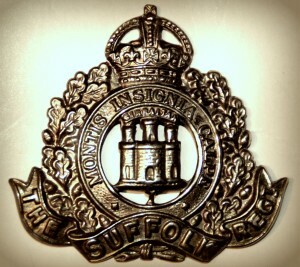 Regiment: Suffolk Regiment, 1st Battalion, ‘A’ Company. 1901 53, New Village, Branthan, Essex. Victor was 3 years old he was living with his parents & brothers. John Samuel Joseph Pittock, 31, a Hydraulic Pressman Xylonite, born Manningtree, Essex. Rebecca Pittock (nee Hawkins), 43, born Elmslea, Essex. Bertie George Pittock, 2, born Lawford, Essex. Louis Harvey Pittock, 7 months, born Brantham, Essex. 1911 52, Sirdar Road, Ipswich. Victor was 13 years old, an Apprentice Tailor’s Cutter – Wholesale Tailor. He was living with his parents & siblings. John, 41, a Foreman – Manufacturing Packaging Depot – Tobacco Manufacturer. Violet Rebecca Pittock, 16, a Shorthand Typist – Insurance Office, born Mistley, Essex. Soldiers’ Effects to John S.J. Pittock – father.